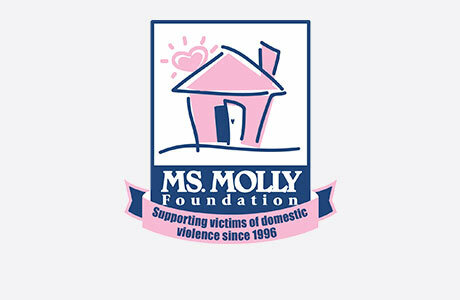 Welcome to MOLLY MAID of Greater Albuquerque! We are a locally-owned, locally-minded, and locally-operated, professional maid service that has been cleaning up all of Albuquerque and the East Mountains for over 10 years. Our Albuquerque house cleaning company services the homes of local residents in Albuquerque, Rio Rancho, Tijeras, Placitas, Los Lunas, Belen, and the surrounding communities. Customers in Belen, Bernalillo, Peralta and Bosque Farm choose our Albuquerque maid service because we offer fantastic rates and design a cleaning plan that is tailored to your needs. When you call our office, you'll be greeted by a helpful professional who will take the time to learn about your home and discuss your individual housecleaning needs. We will conduct a free in-home consultation and provide you with a customized home cleaning estimate. Our housekeepers will arrive at your home in a clearly marked vehicle, dressed in uniform, with all the supplies and equipment necessary to clean your home. MOLLY MAID of Greater Albuquerque offers customers a thorough top to bottom cleaning each visit and offers other services not usually presented by competitors, including one-time cleaning jobs for those moving in or out of apartments or homes. Same day cleans and Saturday cleanings can also be requested. You can count on us for an excellent and reliable Albuquerque home cleaning! No contracts, no hassle, just a clean and comfortable home from New Mexico’s maid service of choice. If you have additional questions about our Albuquerque maid services, please feel free to give us a call at (505) 407-0704. Request afree in-home estimate and learn why your local Molly Maid has been the most trusted name in home cleaning. We do a free in-home estimate to better understand your specific needs and give you the best possible price. For example, we have two customers living in identical homes. Because they are furnished and lived in differently, the service fee will differ. Therefore, we will provide you with the best price possible at the time of your free in-home estimate. Since this type of service is not done on a regular basis, our customers have found that it is best to use a specialized service that has the appropriate equipment and supplies. We can refer other businesses that perform these services. When would be the soonest you could start cleaning my home? We can perform your initial clean within the next few days and get you on a regular schedule right after that.